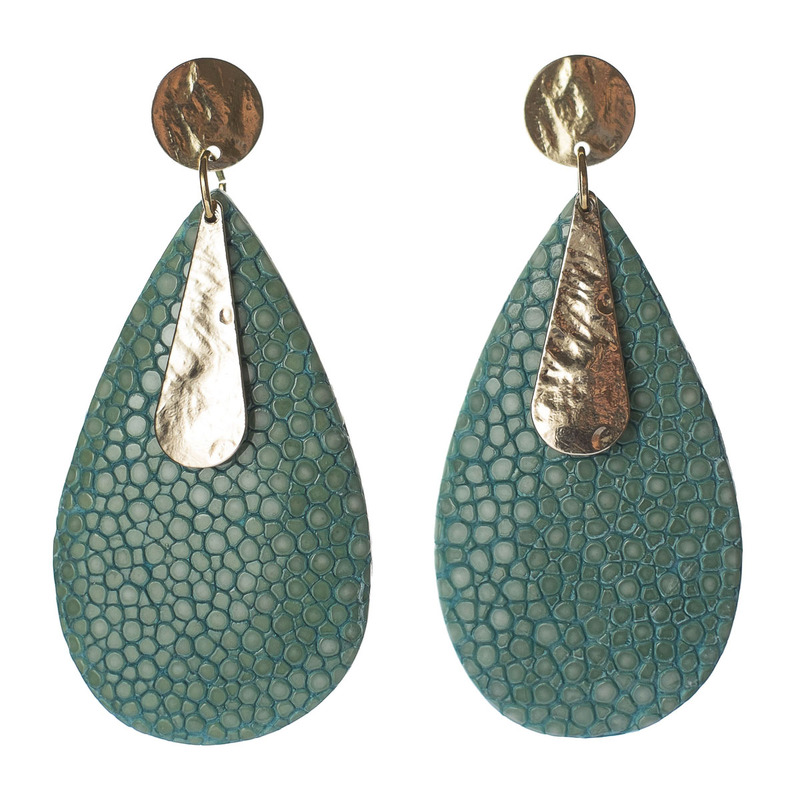 Turquoise earrings made of stingray leather combined with high-quality silvered or 18K gold-plated brass with a hammered texture. Total length: 7 cm. Please add a note to your order if you’d like to order silvered or gold-plated.